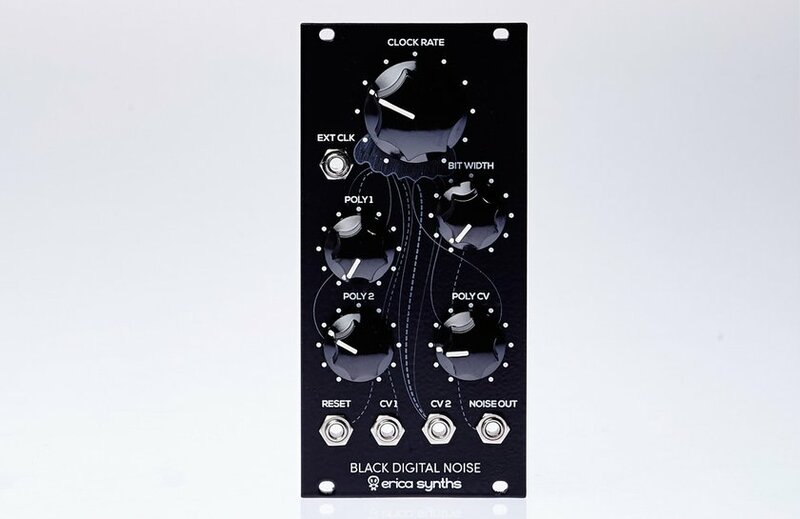 Similar noise generation scheme was used in several classical drum machines, and technology comes from techniques used in data scrambling. "I just wanted to say that what a wonderful module and ordering experience it was with Erica Synths. It was the best inner module packaging I have seen. The build quality is the best I have ever seen. The shipping from Latvia to California was very fast and inexpensive. 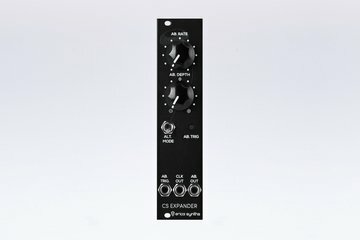 And the module sounds so very good in so many ways." 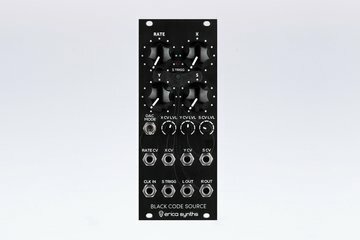 Erica Synths Black Code Source Expander takes the Code Source to the next level by adding autobend feature and more noise/CV modes. 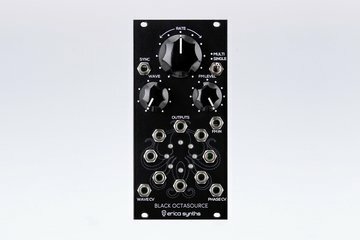 Erica Synths Black Code Source is a unique design, true stereo digital noise or dual random CV generator using a complicated calculation of polynomials of various configurations.